We love these 'hearty' Midlands Valentine's Day offerings! If food is the way to your sweetie's heart, here are some great ways to show some love! 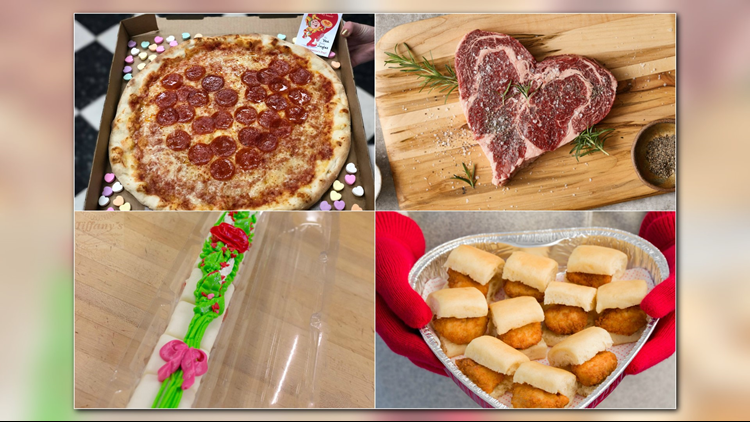 COLUMBIA, S.C. — If food is the way to your sweetie's heart, here are some great ways to show some love! Send your Valentine a Pizza-gram from Village Idiot Pizza! 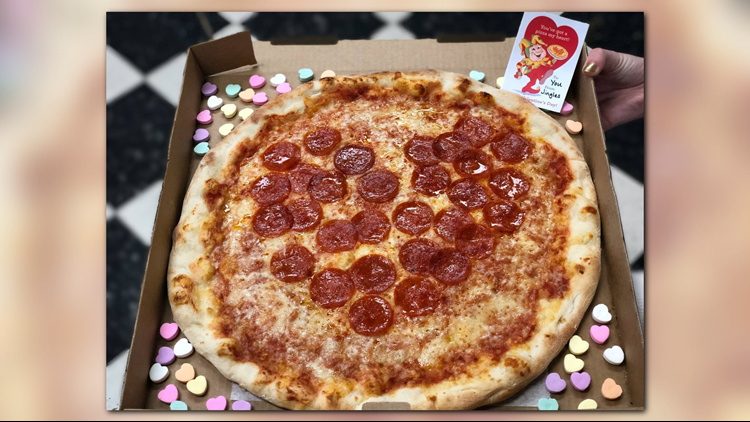 For $18 (plus tax & delivery fee), you can send a pizza with a topping of choice in the shape of a heart, a box of candy hearts and a Valentine from you. Place your order at any of three Village Idiot Pizza locations (Five Points, Forest Drive, Olympia @ The Mills) or call (803) 252-8646. Searching for the perfect entrée? Impress the meat-lover in your life with an eye-catching favorite that tastes as good as it looks. 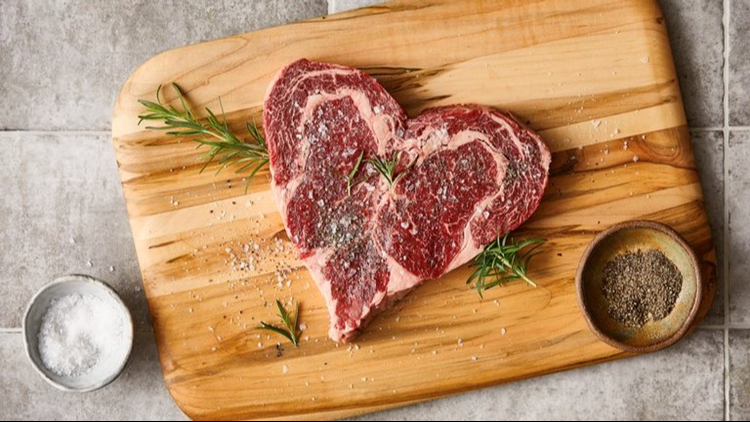 The sweetheart Ribeye is available at Fresh Market stores through Thursday, February 14th. Tiffany's Bakery long stem roses are an extra sweet treat for your Valentine! 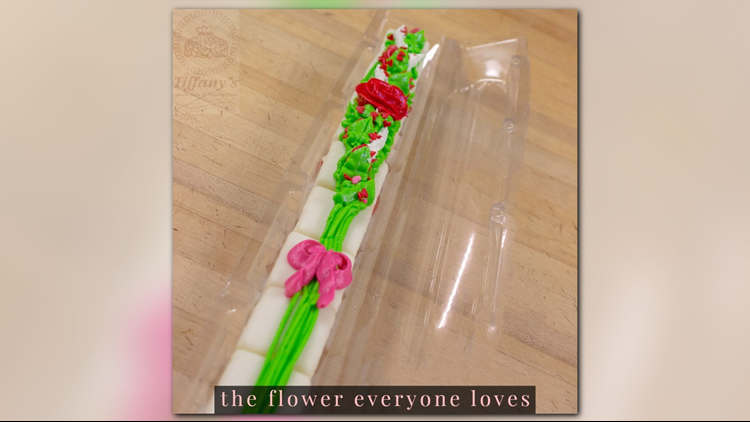 The rose is approximately 26-inches long and runs $17.95 (plus tax). Call ahead (803-736-2253) to ensure availability. 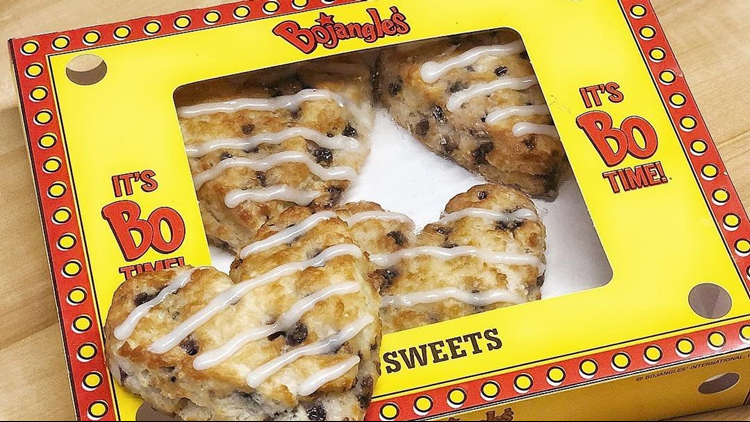 The special version of Bojangles' famous Bo-Berry Biscuit, available at select locations, is perfect for your friends, co-workers or your love! Nothing says 'I love you' like chicken nuggets! 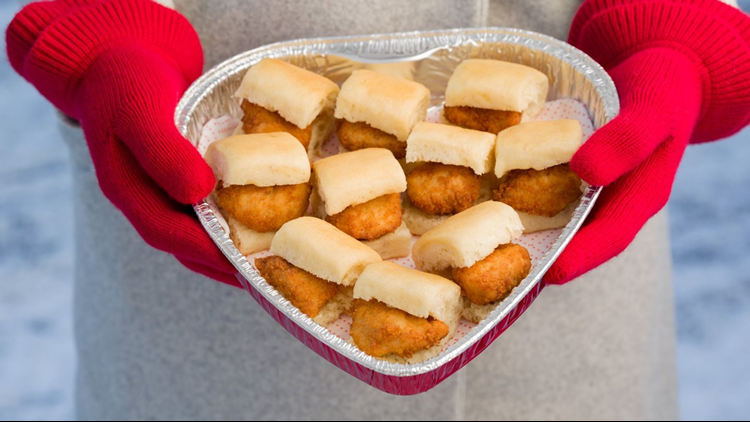 Swing by a participating Chick-fil-A to pick up a 30-count of chicken nuggets, a 10-count of chick-n-minis or a 6-count of chocolate chunk cookies in a heart-shaped container. The special trays will be available at participating restaurants until February 28 or while supplies last. Availability varies by location, so please check with your local restaurant to confirm. 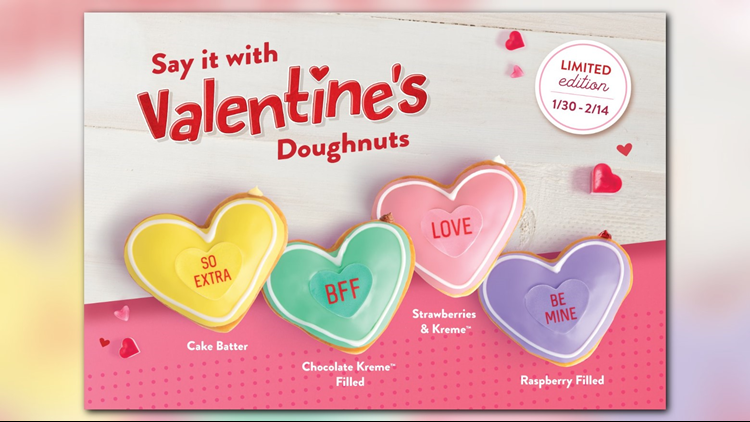 Krispy Kreme’s Valentine Conversation Doughnuts are topped with more than a dozen edible phrases, including “DM ME,” “ALL THE FEELS,” and “BE MINE.” Even sweeter, the doughnuts feature four Krispy Kreme classic fillings – Cake Batter, Strawberries & KREME, Raspberry Filled and Chocolate KREME. 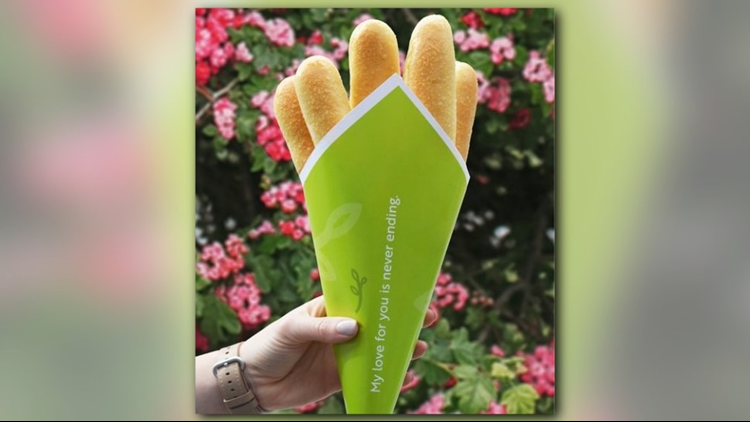 Because nothing makes you feel loved like a bread stick carb load, Olive Garden is offering bouquet of a dozen bread sticks and printable bouquet wrappers to seal the deal. Simply order a bread stick bouquet from the closest Olive Garden, then print the wrapper of your choice, put them together and present the deliciousness to your beloved! 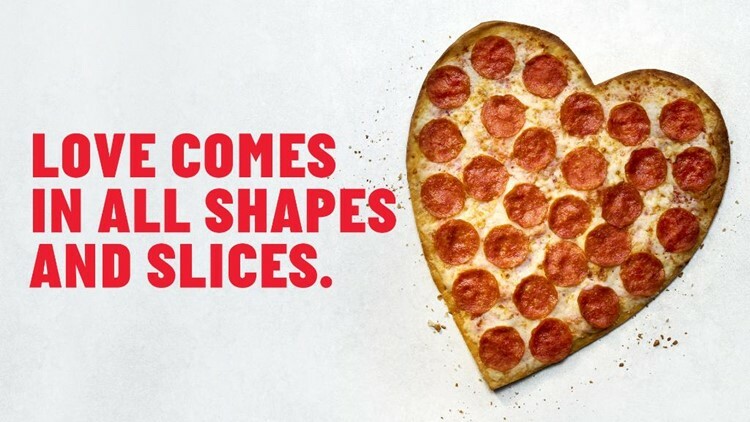 Papa John's heart-shaped pizza is back for Valentine's Day. Get a heart-shaped pizza for $11 or pair it with brownies for $16. Know of others we're missing? Let us know -- email us at News19@wltx.com!